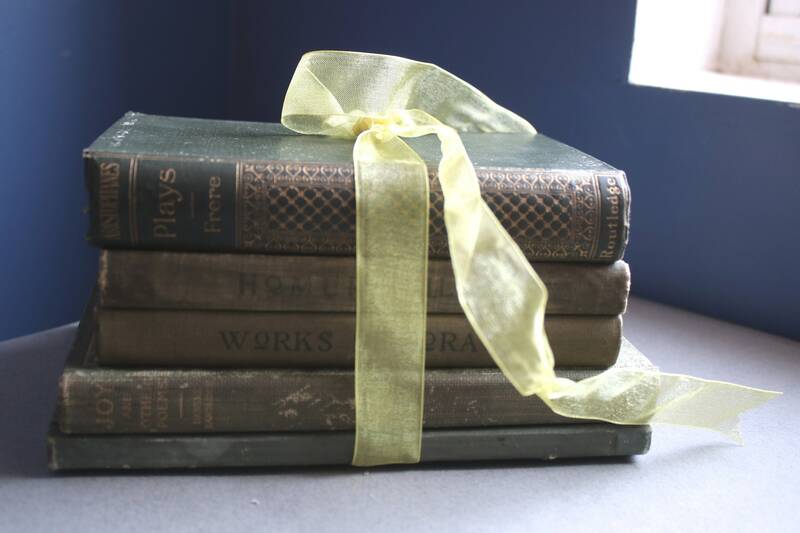 This stack of antique, eclectic reading material consists of five books for reading, decor, or both. 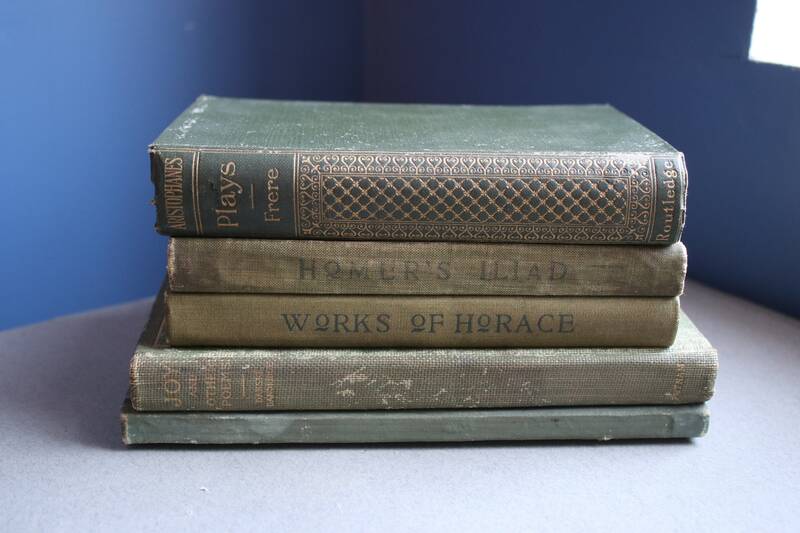 The titles include Sir Roger de Coverley Papers, Joy and Other Poems by Danske Dandridge, Works of Horace, Homer's Iliad, and Plays by Aristophanes. 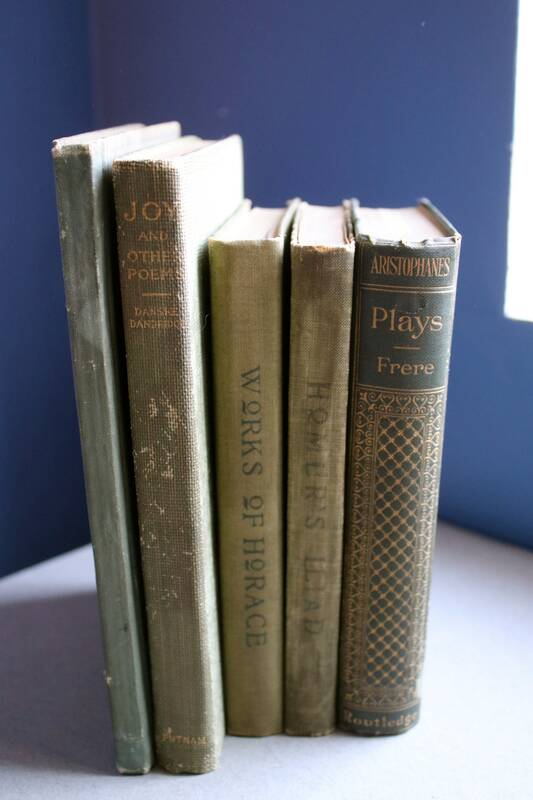 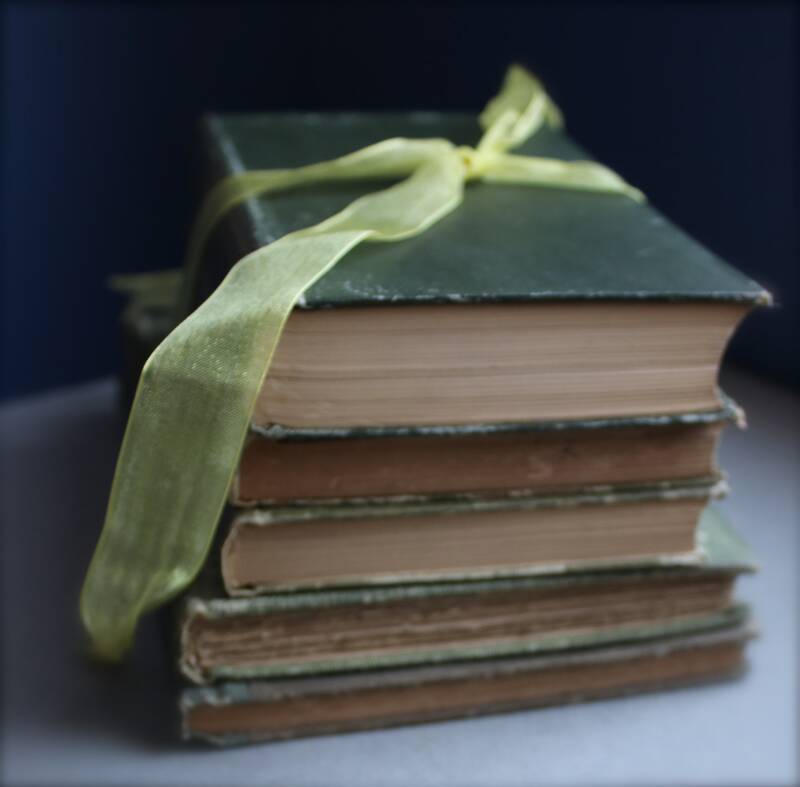 The books, in shades of green, are in varying degrees of condition and are sold in bulk. 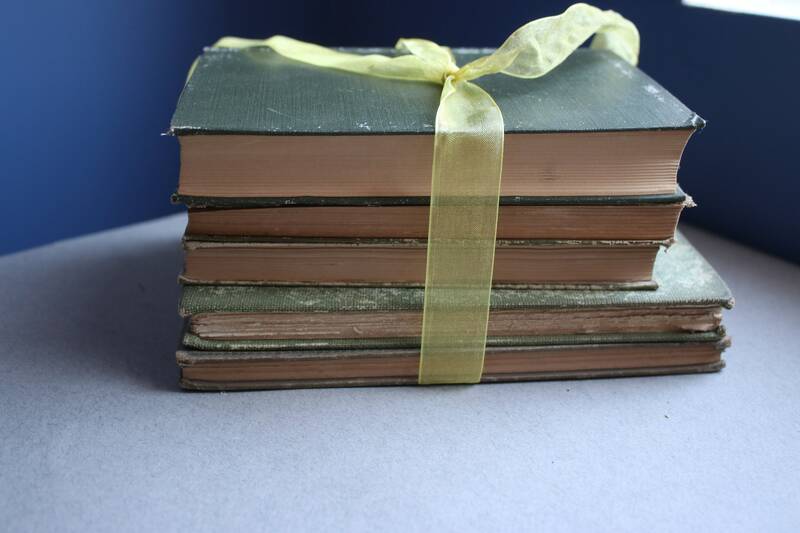 The cost is for all five books, which will be sent via Media Mail unless you specify otherwise.